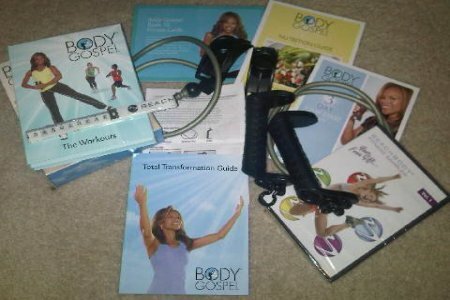 Today was day 2 of my Body Gospel Workout. Today's workout was called "Core Revelation". It was less than 20 mintes long and worked my inner outer thighs, core, abs and obliques. The routines target the core of your body- the area around the trunk and pelvis. Donna Joyner opened and closed with words of inspiration. For Core Revelation I needed a yoga mat and my Body Gospel Workout Bands. To be honest, the music in today's workout wasn't very memorable, but it was nice nonetheless. I still enjoyed it. I used the "normal" music setting this time, so that I could hear Donna give instructions during the video. I didn't sweat much today, but I can tell you the floor exercises had my hip and thigh musles on fire! I had to stop a few times. But, as I continue through the program I should be able to complete the reps without stopping during sets. The floor exercises reminded me of Winsor Pilates Upper Body Sculpting series. I was okay with that because those techniques have proven effective for me in the past. 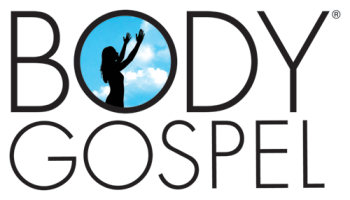 I also noticed some moves from other Beachbody workouts like the "superman" and the "mason twist" but in Body Gospel they were renamed to fit the theme of the program. For example the "mason twist" like move was named the "temple twist". Overall the workout was a good one. I got some ab work in with the twists and alternating leg presses. The plank exercises also resurface in this program, another very effective workout for strengthening the core. A strong core is important for controlling movement, stabalizing your center of gravity, and protecting the back, among other benefits. Don't be too hard on yourself if the moves are a bit awkward with the Body Gospel bands. I think it's going to take some getting used to. I like the bands because they allow more range of motion than the traditional ones do. But I had some difficulty getting used to them. Be Blessed!